Dr. Soranik Natu is a highly skilled surgeon from the planet Korugar. She was selected to become a Green Lantern and has had to overcome her peoples' hate of the Green Lanterns; the hate her father, Thaal Sinestro, created during his time as Korugar's Green Lantern. Because of that, she was initially very reluctant to join the Corps, but has since come to see it's value. 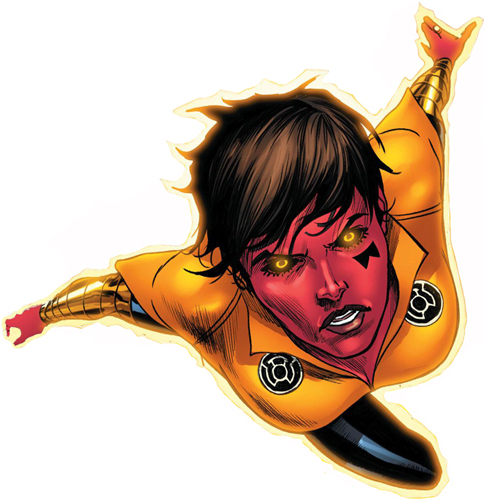 Just before the loss of the Green Lantern Corps, Soranik was stripped of her Green Lantern ring by Sinestro and made a Yellow Lantern.